Adobe Digital Editions (abbreviated ADE) is a successor to Adobe eBook Reader used for acquiring, managing and reading eBooks and other digital publications. Since the version 1.5 released in 2008, it has implemented a proprietary scheme of Digital Rights Management (DRM) - Adobe Digital Experience Protection Technology (ADEPT), which allows document viewing on up to six machines with Adobe Digital Editions and user authentication via an Adobe ID. If you’d like to read your purchased eBooks without Adobe Digital Editions, backup your Adobe eBooks on computer or share them on more devices, it’s a must to bypass the DRM restriction and convert them to the common PDF format we widely used. 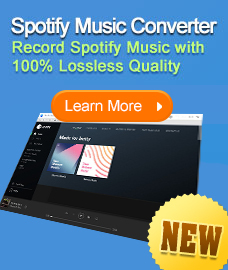 In the following part, we are going to show you a detailed tutorial about how to achieve it with PDFMate eBook Converter, a well-known eBook tool for Adobe, Kindle, Kobo & Nook eBooks. 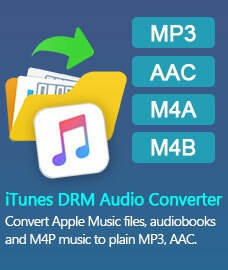 PDFMate eBook Converter integrates the functions of eBooks DRM removal and eBook conversion to help users easily bypass the DRM of Adobe, Kindle, Kobo & Nook eBooks and convert them to DRM-free PDF, MOBI, EPUB, TXT, KFX or AZW3 format. 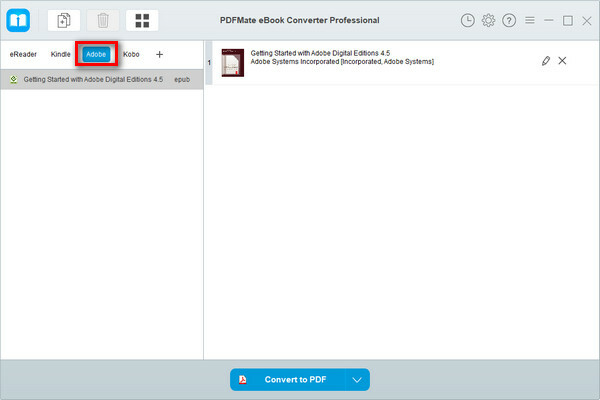 Adobe Digital Editions is required to be available on your computer before running PDFMate eBook Converter. If your eBooks are .acsm files, simply open them in Adobe Digital Editions, and the eBook files will be downloaded. If not, you need to open them in ADE, and then click “Library” button and select “Add Item to Library” to import them to Adobe Digital Editions. Click "Adobe" on the left panel and PDFMate eBook Converter will find all the eBooks in your Adobe Digital Editions library automatically. Drag and drop the eBooks that you'd like to convert to PDF to the right panel. Note: The DRM of the eBooks uploaded to PDFMate eBook Converter will be removed immediately once they are successfully added to the program. Click “V” icon on the bottom and select the output format for your ADE books. Please choose "PDF" as the output format here. And by clicking the “Settings” button on the upper right, you can customize the output path for the converted Adobe eBooks. 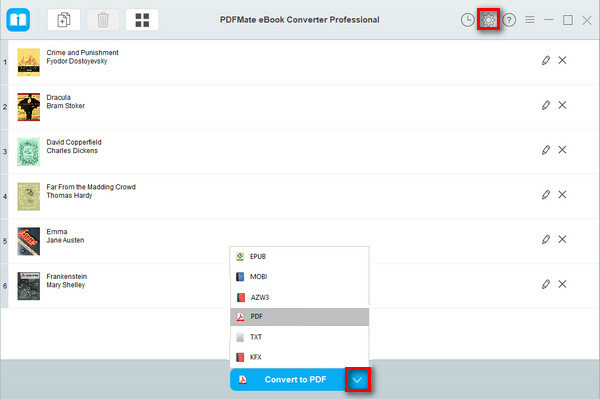 Click “Convert” button to start converting your ADE books to PDF format. 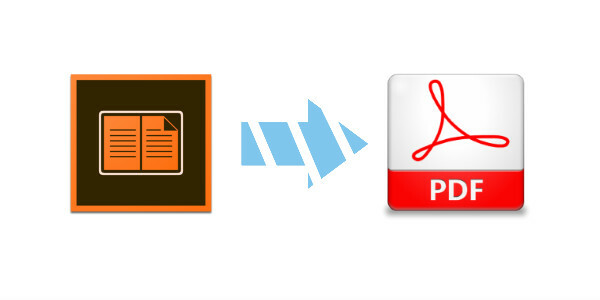 When the conversion is done, you can find your Adobe books in PDF format by clicking the “History” button on the upper right or directly going to the output folder you set in previous step.